The NESTING module optimizes the filling of a panel, part of a panel or a series of panels with closed parts of any shape. 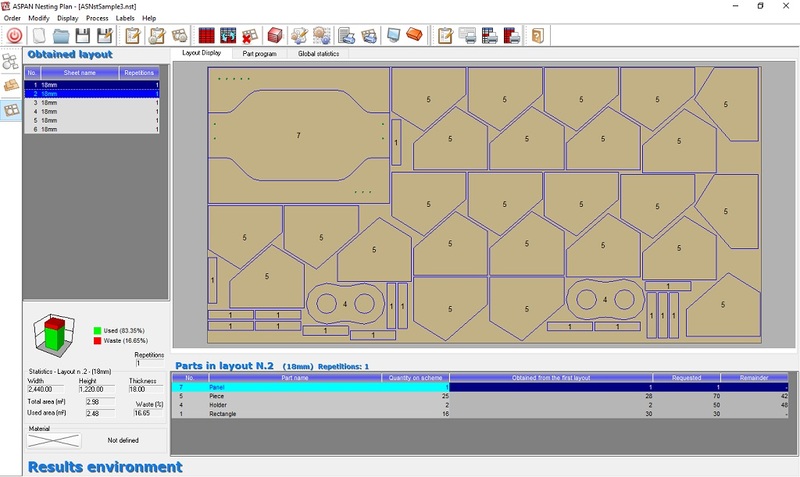 The NESTING procedure can be used in the CAD environment to optimize the current panelor an area of that panel with closed parts of any shape drawn in the CAD environment. 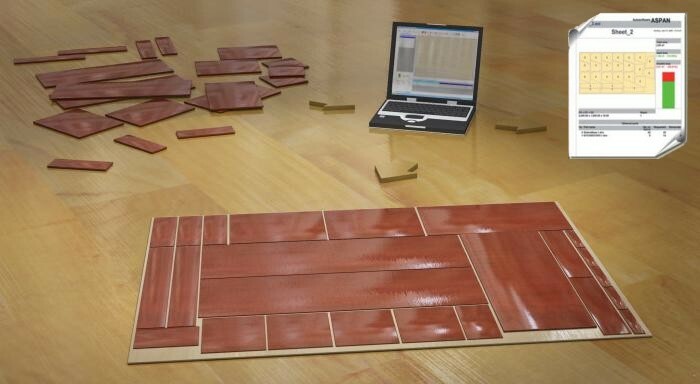 It can also be used in a dedicated environment to optimize one or more magazine panels with PARTNER/ASPAN drawings, free-hand shapes, rectangles, macros, doors, cabinet parts, DXF files and ASC files. 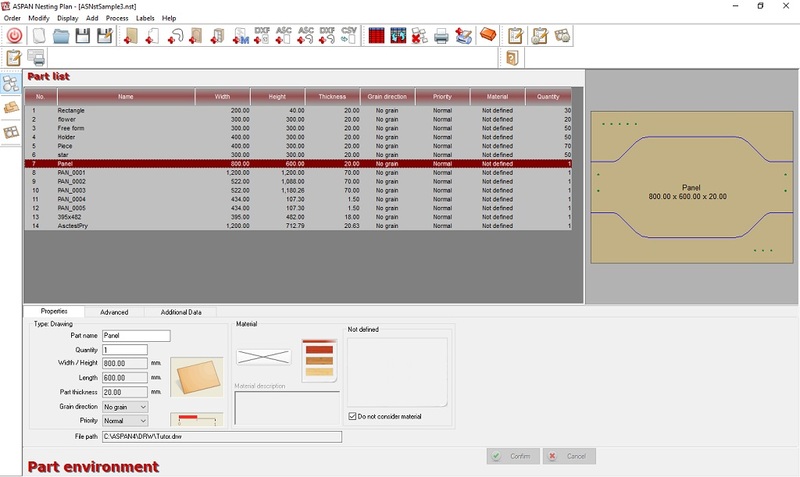 Once the parts and the quantities to be optimized have been selected it is possible to assign additional properties to the parts, the panel or the panels to be optimized. These properties include: grain direction, insertion order, rotation steps for filling attempts, filling of unused part or panel holes with compatible parts. 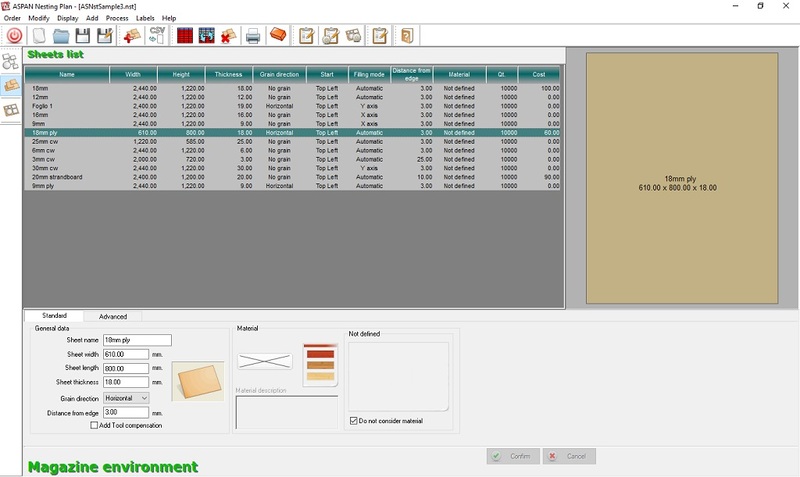 For the worktable nesting procedure users can import the data of the parts to be optimized as CSV format files. For each cutting diagram the user can create a series of graphic reports, part labels, layouts drawings and machine programs. NESTING in an optional module and so not included in the basic version of the program. It is possible to purchase PARTNER/ASPAN and it's optional modules contacting ATool Software or one of the dealers listed in the apposite section of this website.